Horizon: Zero Dawn is a game that does a few things really well. It's a technical marvel, showing a beautiful vision of a post-apocalyptic that just begs to be explored. It's a fun game, in that open-world checklist-a-thon style popularized by Ubisoft and Rockstar. It has some fantastic character designs, led by Aloy - a sort of anachronistic sci-fi take on Brave’s Merida, complete with wild red hair and a bow as her choice of weapon. But it's not the feminist masterpiece that so many are claiming it to be. In interviews prior to release, developers patted themselves on the back for their progressive approach to creating a heroine who isn’t sexualised. “We didn’t want to overly sexualize her—to me that would be really distracting to the bigger premise of the game,” lead writer, John Gonzalez, told Co.Create. "Our approach to writing a great, or hopefully great, female protagonist was to just put all of our effort into writing someone who felt human and multifaceted." 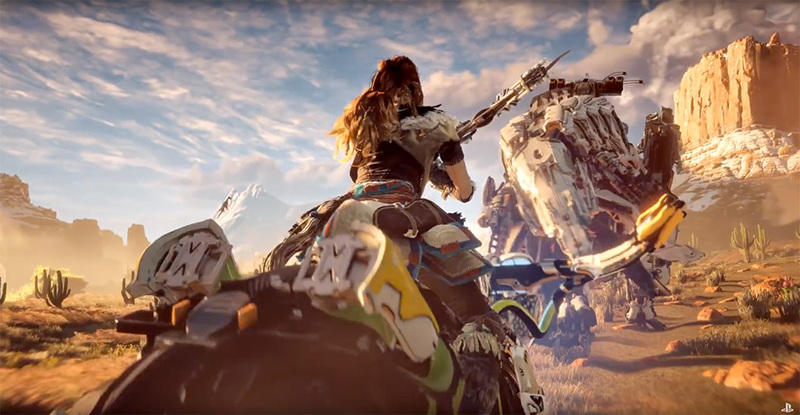 Yes, Horizon is a game with a female lead in an industry that’s still dominated by men; in 2017, it’s still a progressive move – though maybe no longer a radical one – to have a game where your main character is a woman. And yes, Aloy is born of a matriarchal society. These are both things that we could also do with more of in video games (and in any sort of fiction, really), but that’s a very low bar for a feminist masterpiece. My issue with all the kudos being showered upon Horizon’s “wokeness” is that for all its superficial progressivism, it undermines those aims at every turn. 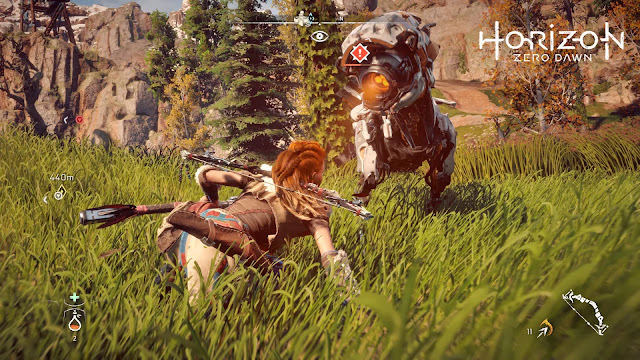 Aloy is a “strong female character” in the most reductive sense of the term. She’s the female equivalent of a space marine trope; a superpowered hero who lacks any sort of actual personality or emotional depth. 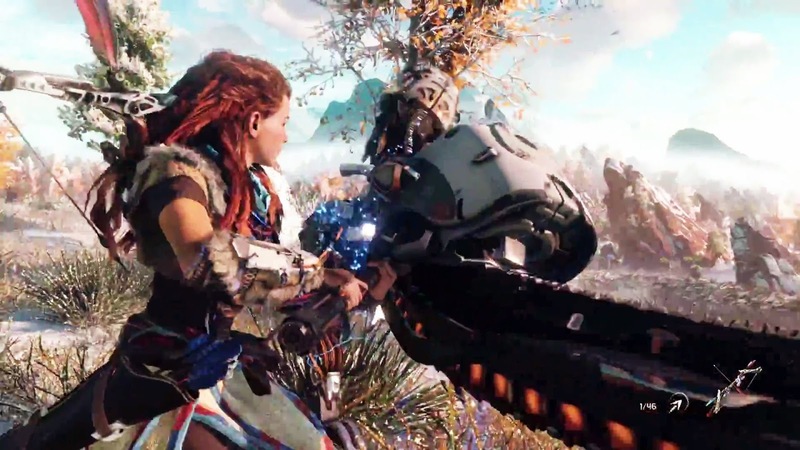 A “strong female character” is one who’s strong in the writing – someone who feels human and multifaceted, as Gonzalez put it – and Aloy couldn’t be further from that. She’s a feminist icon in the same way that Samus Aran was in the original Metroid, by subverting expectations and doing Manly Stuff despite being a woman. Metroid came out 30 years ago, though, and we’ve come a long way; that’s no longer subversive. Games like Life is Strange, Metal Gear Solid 3, Catherine, Persona, I Am Setsuna, Lollipop Chainsaw (yes, really), and a myriad of others have raised the bar. 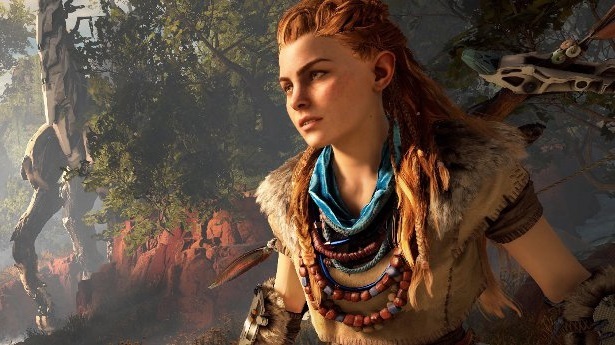 Protagonist-ing while female is no longer enough; women deserve to be envisioned as whole, complex, flawed people, and Aloy is far from that. This isn’t so much a problem with Aloy as with the game itself; the writing is shoddy across the board, for characters of all genders, and Aloy is just one of many victims of that. Nonetheless, it’s a big leap to call her the industry’s next great action hero. 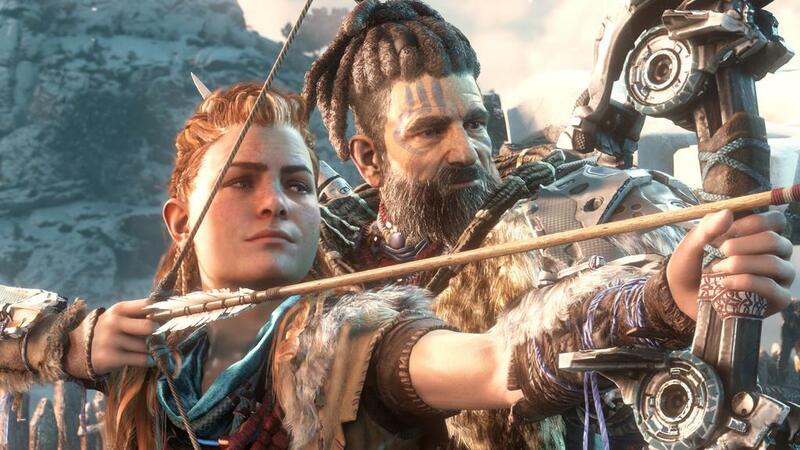 What’s particularly frustrating about this is that in their effort to avoid sexualising Aloy, they’ve completed robbed her of any sort of sexual identity. Horizon is so “post-gender” that is abandoned even the concept of sexuality, and that's not a good thing at all. Sexual identity is a fundamental part of being human, and any sort of “human and multifaceted” character needs to traverse that. That's not to say that Aloy needs to be an empowered, unabashedly sexual being in the way that Bayonetta is. There are plenty of different ways of being embodying sexuality, from the domme performance of Bayonetta, to the protagonist of Assassin's Creed: Liberation, Aveline’s, pragmatic use of sexuality as a tool, to deliberate rejections of feminine sexuality that you see in the likes of Alien’s Ripley and Metal Gear Solid 2’s Fortune, to a character like Juliet Starling from Lollipop Chainsaw who somehow traverses all of these ideas. Let's not forget asexuality, which isn't simply an absence of sexuality but a sexual identity of its own, as explored in Archie’s Jughead Jones. 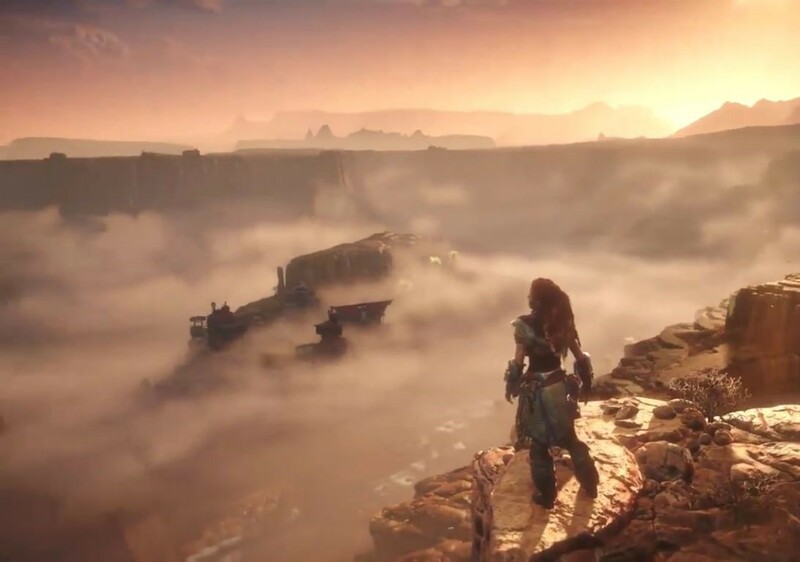 In erasing the entire concept of sexuality, Horizon denies Aloy - and every other character in that game - any sense of sexual identity and agency. That's fundamentally at odds with a pillar of feminist ideology. I also find it odd how much praise Horizon is getting for featuring a matriarchal society. This is an interesting jumping-off point for the story, but Horizon’s problem is that it does nothing with it. Much like the fact of Aloy’s gender, it’s just kind of there, and then the story moves along this vision of a progressive, empowered society is forgotten again – until it suddenly gets shoehorned back in. The game does nothing to explore this on any sort of level. There’s not even a superficial “look how different this matriarchal society is to a patriarchal one”, let alone any kind of deeper exploration of gender, society, and how such things influence each other and the people within them. There’s nothing wrong with any of this, of course. A look forward to the day when women protagonists and matriarchal societies are no longer A Thing in our stories, but simply part of the status quo. Horizon is certainly a piece of that growing trend. When it comes to mindless entertainment of this variety, I’d much prefer it to be filled with badass women, and Horizon absolutely ticks that box. But there’s no real feminist thrust to its narrative other than the most basic “women are people and should be treated with respect”, and to claim it’s anything more than that is disingenuous. If anything, there’s an (unintentional, I’m sure) subtext to the whole game that’s almost biblical in its application of blame for all the world’s ills to womankind. The great irony of all this is that there’s a legitimate, bona fide feminist masterpiece about to release (or already available, if you’re in Japan), and I can only assume it’s going to get crucified by the media for its “sexualised” characters. That game is NieR: Automata. It’s a rich, dense, brilliant work of all sorts of philosophical exploration, but at the centre of that is the fundamental question of what makes us human. That includes a deep dive into gender theory, looking at the way it’s constructed, performed, and reinforced even when it serves no purpose. There’s a subplot that deals specifically with the performance of femininity, the societal expectations placed on women, and the impact that has. A large part of the game is focused on the construction of family units, and the role of women within those as caretakers and nurturers. It looks at love, lust, and the gendered performances within those ideas. It also has a badass, fierce female protagonist and a matriarchal society, so, y’know, it checks those boxes as well. But of course, NieR: Automata is a Japanese game with a main character who wears a short skirt – a critical, key part of the game’s look at gender – and that will be enough for many a reviewer to write it off as exploitative. Meanwhile, a game with a shallow story and a lifeless hero who Just Happens To Be Female is lauded as the benchmark of feminist achievement in video games.